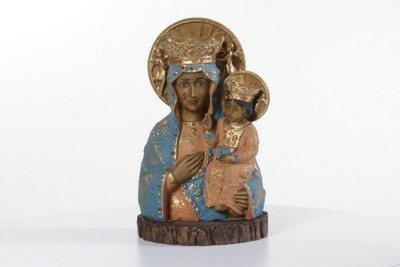 Painted plaster bust depicting the national Madonna of Poland. The accompanying tag says hand painted figure made in Italy, and initialed "ET," which are possibly the initials of the artist. The bust is thought to have been made in the late 20th century.